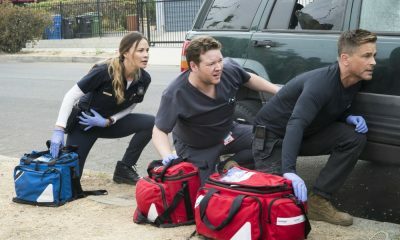 CBS, usually the home of crime procedurals these days, decided to try its hand at a medical one with CODE BLACK. Set in a busy emergency room, the title refers to the state the staff goes into if there are not enough personnel and resources to handle the patients coming through the door. While many medical facilities may see this occasionally, the one at the center of the show, LA County Hospital, goes through it on a regular basis, nearly every day of the year. CODE BLACK is high energy fun. From the start to the finish of the episode, a lot occurs because the tempo of the setting is a very busy one. While the premise would not work at most hospitals, the specific scenario chosen seems realistic enough, and the pacing keeps things interesting. Viewers will not have time to get bored. But it isn’t always realistic. The trap any medical show falls into is that the cases must be unique in order to engage the audience. House, M.D. kind of got around this limitation because of the nature of the unit that Dr. House ran, but most series, such as Grey’s Anatomy, just decide to suspend reality in this aspect of the program in order to make more compelling stories. Judging by the pilot, CODE BLACK does the same. I don’t know that this is strictly a negative aspect, since so many other shows do the same thing, but it is worth noting. 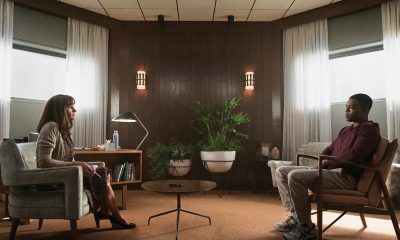 Credit goes to the production design, which makes the LA County Hospital look much more authentic than in other medical dramas. The white board shows signs of being erased many times over without a good cleaning, and the paint is cracked and peeling. 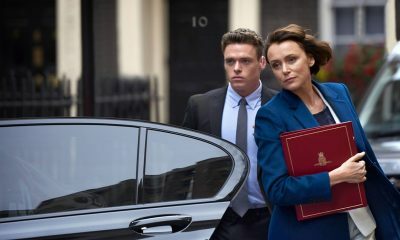 Too many television programs go for the stylistic look, to their detriment, and the approach CODE BLACK takes lends more credibility to the presentation. 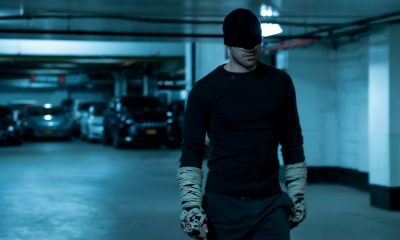 What a lot of crime shows forget to do is to make the characters the center of the show, and medical dramas tend to not have that problem as much. Sure, there are patients to treat constantly coming through the door, and most will not return for another hour. 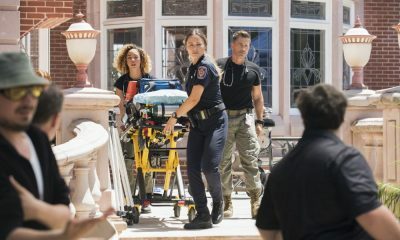 But while the focus of the majority of CBS’s fare is the investigation, with character moments saved primarily for the beginning and ends of the hour, medical series tend to focus on emotional arcs for their players throughout the installments, even while they are dealing with the emergencies. CODE BLACK is no different in this regard, which already gives it a leg up on its same-network peers (save The Good Wife, which operates in a similar manner, favoring character over formula). 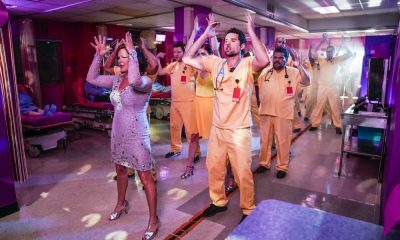 CODE BLACK’s ensemble is delightful and given decent material. 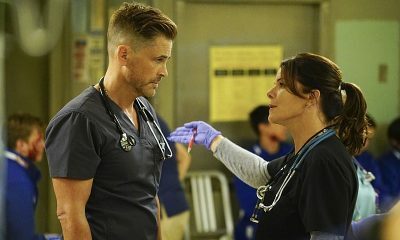 The person with the most authority on the floor, the renowned Dr. Leanne Rorish (Marcia Gay Harden, Trophy Wife), has gone through a tragedy that worries her former student and fellow doc, Neal Hudson (Raza Jaffrey, Smash). Together, along with long-serving Dr. Rollie Guthrie (William Allen Young, Moesha), they manage four new residents who have been assigned to them (played by Golden Boy’s Bonnie Somerville, The Brink’s Melanie Chandra, The Joneses’ Benjamin Hollingsworth, and relative newcomer Harry Ford). They are all cared for by ‘Mommy’ senior nurse Jesse Sallander (Luis Guzman, How to Make It in America). When compared to others of its kind, CODE BLACK is more enjoyable and intriguing than most. I can’t say it has any single element that makes it stand out in particular, but I really like the chemistry of the cast, which is the heart of the show. It could be my new Grey’s Anatomy (which I love dearly) when that show goes off the air, but for now, it’s one of the few new broadcast shows this fall I consider worth watching. It lacks depth and falls a bit short on realism, but it’s still very entertaining overall. CODE BLACK premieres Wednesday, September 30th at 10 p.m. ET on CBS.